Announcing the second headliner of MGCDF 2019! Dear friends, we are moving on in the presentation of the roster of the upcoming 11th installment of our/your Czech metal feast. Yet again we are not tiptoeing around, as we are hereby announcing the second headliner - the Sumerian mystics of MELECHESH! Though it may not be apparent on first glance, Middle East not only has its place on the global metal map, but also its iconic bands that achieved worldwide acclaim. One of these is unquestioningly the congregation of Sumerian black metal Djinns MELECHESH, formed in Jerusalem in 1993. Already their first demo “As Jerusalem Burns” showed the enormous potential of the act, although it alas also stood at the beginning of their problems with the local religious authorities that resulted in MELECHESH relocating to Netherlands and France in 1998. Two years later came their proper breakthrough vis-á-vis their second full-length “Djinn”, released by the French label Osmose Productions. Even greater publicity came with its successor “Sphynx”, the cover od which was done by Ron Woodall from Industrial Light & Magic. 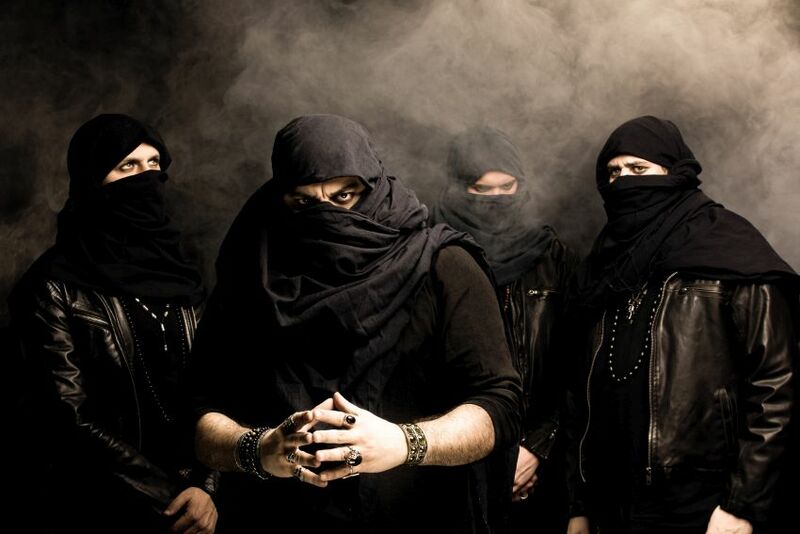 The latest addition in the discography of MELECHESH is the 2015 album “Enki”, hailed in the reviews as the most brutal and intense piece the band’s history, as well as a whole new, higher, level for MELECHESH. Their long-standing popularity is underscored by the fact that this September, the Armenian publisher Metal Depot released, as its debut, an interactive graphic novel “Emissary of the Anunnaki: The Tale of the Fire King”, which cover the biography of MELECHESH in concert with the Sumerian mythology. If you thus want to experience a true black metal sandstorm and face the deities and demons of ancient Mesopotamia, do not miss the premier appearance of MELECHESH on MGCDF 2019!